Asian Dub Foundation return to Rich Mix to mark the reissue of their Mercury-nominated album 'Rafi's Revenge'. London Records proudly reissue Asian Dub Foundation’s revolutionary studio album, Rafi’s Revenge. To celebrate, the world-renowned band are playing a live show featuring tracks from the album, along with special DJ sets by ADF DJ Pandit G! By the time ADF recorded Rafi’s Revenge in 1998, they were primed to explode. Having initially emerged from east London’s grassroots Community Music project as a largely studio-based collective, the band had galvanised themselves into a riotously exciting touring machine by the late nineties. Their extraordinary live shows were electrifying to witness, kinetic and dynamic, incendiary and euphoric, confrontational yet celebratory. For sheer roof-raising energy, they were unrivaled. Rafi’s Revenge originally peaked at number 20 on the UK Albums Chart and was shortlisted for the 1998 Mercury Music Prize, and is a kaleidoscopic mash-up of jungle breakbeats, industrial dub, London-rooted hip-hop, sci-fi punk, drum’n’bass, soundsystem reggae, bhangra, free jazz, techno, sampled Indian classical instruments, funky surf guitar and swashbuckling spaghetti western attitude. It sounded like a head-on collision between the past, present and future of music. Two decades later, it still does. ADF have evolved enormously over the last two decades, of course, but their breakthrough album remains a fascinating chapter in the real, complex, unwritten history of Britpop. These multi-layered musical treasures still dazzle and delight with their grandiose ambition and riotous energy. Twenty years later, Rafi’s Revenge is still a dish best served smoking hot. Pre and post show by Original ADF DJ Pandit G! You can pre-order LP or CD copies of Rafi’s Revenge, which will be available to collect on the night. Please click BOOK NOW to choose your ticket bundle option. This 21 year anniversary reissue includes a limited edition, coloured 2xLP plus expanded digital & CD editions with bonus tracks selected by Adrian Sherwood. See all of our upcoming live music gigs. 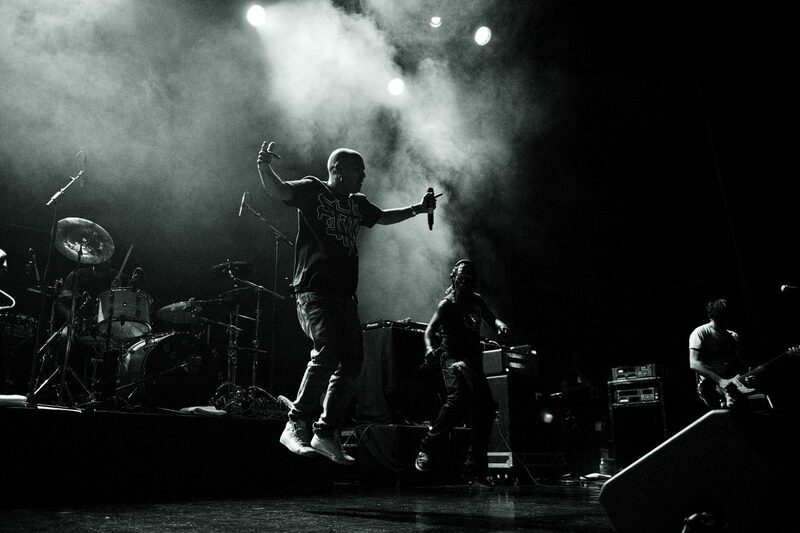 Recap the Asian Dub Foundation ‘La Haine’ Live Soundtrack gig in 2018. The advertised time for this event is the doors time. There will be a pre gig DJ set from 7.30pm and the band will be on stage from 8.30pm. ALL OUR PROFIT SERVES OUR MISSION. A company limited by guarantee. Registered in England & Wales. Registered address: 35-47 Bethnal Green Road, London, E1 6LA, England. Check back every Tuesday morning for the latest cinema listings, or sign up for email updates. Our home on Bethnal Green Road - bridging the city (in the background), connected to our neighbourhood and the communities of the world who live, work or play in the area. 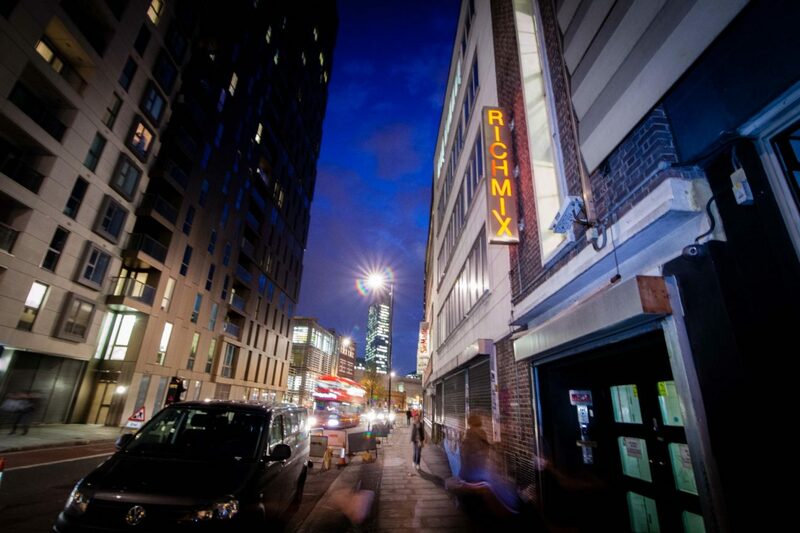 We are Rich Mix – one of the capital’s most diverse and dynamic arts centres. Rooted in the city but open to the world. We feature the best live music, theatre, dance, visual arts and cinema, presented across three performance spaces and a three-screen cinema in our landmark five-floor Shoreditch home. 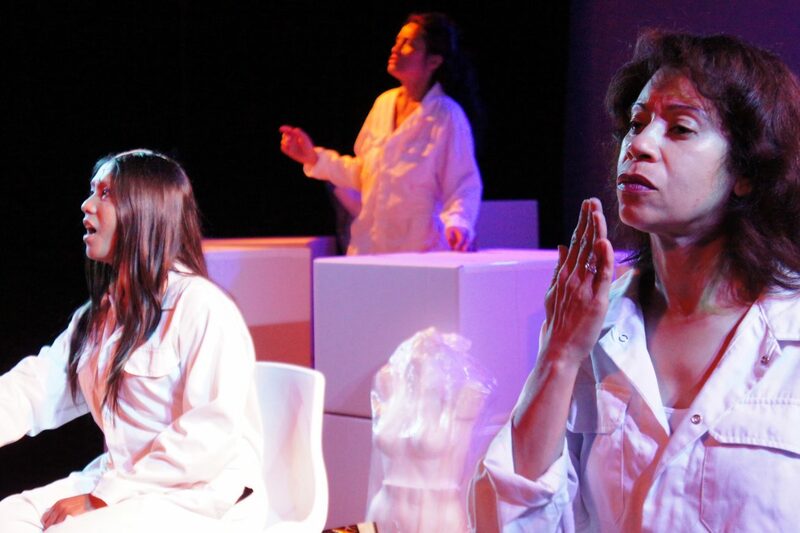 Kava Girls (new theatre writing by Sani Muliaumaseali’i) in The Studio. June 2015. We are champions of artists with something to say. Proudly mixing the local with the global. We present new work by a vast cast of new, emerging and established artists from across society – speaking vividly and authentically of the joys, challenges and realities of 21st-century life. 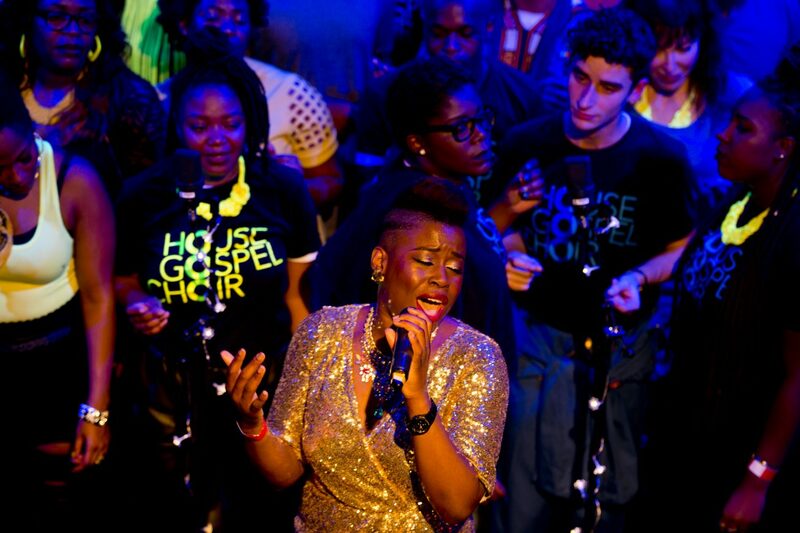 Our resident choir, the internationally renowned House Gospel Choir perform in The Stage. Dec 2016. We are a creative hub – for our artists, for our diverse & dedicated audiences and for the many resident creative enterprises. 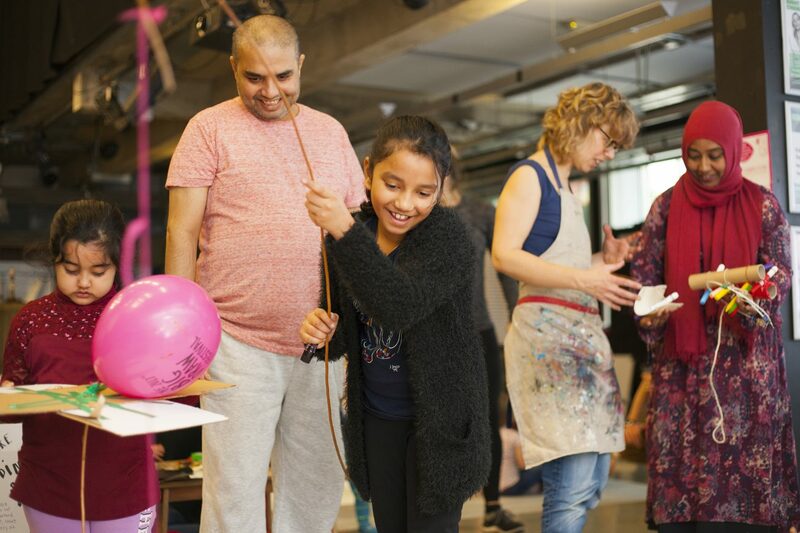 Our pioneering learning and participation programmes bring people from east London and beyond into close, direct and life-changing contact with the arts. Everyone a Maker – a free monthly everyday creativity workshop for families developed in response to feedback from you. Image: Big Draw Oct 2017. We are a charity. All our profits go back into supporting our mission. 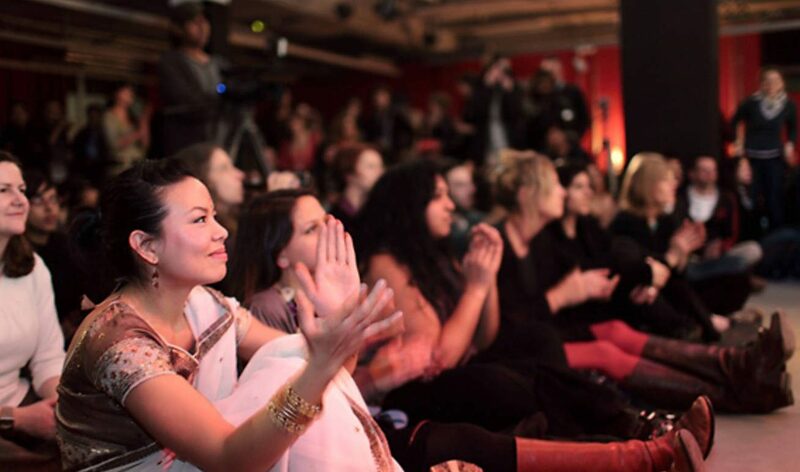 Inspiring the communities of the world who live in London to come together; to make, debate and experience art and culture that gets to the heart of life today. An audience watching a live music gig in The Stage. Open everyday. For everyone. Come in. Sign up to our emails, follow us on social media or explore our website for the latest news on our arts programme, future development and plans.